[As for the catalyst,] born in 1968 in Dandong City, China, Li was a premature baby and a fragile child who suffered from developmental delays. He later graduated from college, married, and found work in a factory. In 2001, Li and his wife immigrated to Canada, where he slipped from one menial job to the next. Around 2004, his wife told police, he started to complain of hearing voices. He became increasingly strange as he hopped from city to city in search of work. Police once found him wandering along the road, disoriented, sleep-deprived and hungry. He told them that God had ordered him to ‘follow the sun’ by walking from Toronto to Winnipeg. Instead, he ended up in a psychiatric center but left after a short stay. He refused to follow doctor’s orders. [But this time for sure, right?] In the two years before the murder, Li traveled back and forth to China twice. The last time, in summer of 2008, he stayed only one day before hightailing it back to Canada. [Something is not right here: This peripatetic holder of menial jobs who is losing a tenuous grip on reality manages to scrape together the scratch to travel to China twice on the income provided by a series of jobs swinging a mop and delivering newspapers? (His wife waitressed in Chinese restaurants, but tips aren’t that good. In any event, the couple divorced in 2006). Despite Li’s worsening mental state, he nevertheless managed to bamboozle us – twice: He arrived on June 11, 2001 and took the citizenship oath Nov. 7, 2006. This man, described as barely functional in English, was admitted as a skilled worker with a supposed job waiting as a computer programmer; he never worked in the field. Was this a case of misrepresentation? Now that the gentleman is essentially a free agent, perhaps the time has come to examine the means by which he finessed entry and citizenship. Must we really be stuck with this cannibal? Every account of the horrors on that bus suggest that Li’s attack on McLean was entirely unprovoked: Does it change the picture to learn that McLean was just a little guy? At 5 foot 4 inches and 130 pounds, he was almost certainly the smallest man on the bus. Remember, Li changed seats to sit beside his victim just prior to the attack. Brad: “preferential treatment and disruption in the monoethnic social fabric”- similiar situation to Canada. Brad: Same for Canada, except we do not have a larger debate on the topic. Although immigration and multiculturalism are transforming our country in an historically unprecedented manner, our government continues their unilateral enforcement of these non-democratic policies. Why are Canadians funding organizations whose goal is to divest our country of its English and French identity? Moreover, twenty percent of respondents to the survey think foreigners “destabilize” South Korean society. Brad: Meanwhile back in Canada, there is no discussion, no debate, no public input, no media coverage of the most transformative social policy since the founding of our nation in 1867. Government-inforced policy…just like the way they do things in China. Brad: Well, it sounds like a very different style of government in Korea. Perhaps, unlike the Canadian government, their leaders actually understand the social dynamics, public concerns, and have a long-term vision for what may transpire if immigration and socially-engineered multicult continue to thrive. Contrast this with the behaviour of Vancouver’s political leaders: Malcolm Brodie, Raymond Louie, Teresa Wat, Alice Wong, Jenny Kwan: using our tax dollars to the liking of those who voted them into office? Brad” Only at 10%? Man, these guys have it easy! Catch some of the giants of the White Nationalist and Christian Revival Movement in Canada. Startiing at 11:00 a.m. EST to 9:00 p.,. Citizenship and Immigration Minister Chris Alexander and Employment and Social Development Minister Pierre Poilievre are talking tough. This is April 1 and cohort of Temporary Foreign Workers who came here four years ago must return home. There has been much moaning and groaning from these not-so-temporary four year workers and from some greedy employers. To hear some Alberta employers howl, despite the economic downturn caused by slumping oil prices, you’d think they’d be unable to find a body to pour coffee, serve sandwiches or install a wire. ““Employers and foreign workers have known about the four-year time limit since 2011, when this policy was announced. “Employers have had four years to find alternative employees. Similarly, temporary foreign workers have had four years to pursue pathways to permanent residence. “The purpose of the Temporary Foreign Worker Program is exactly that – to be temporary. Canadians rightly expect to get first crack at available jobs. “Temporary workers may wish to explore the many pathways to permanent residency we offer which are now delivered through Express Entry and Provincial Nominee Programs. We encourage foreign workers to apply through these streams so that they can contribute permanently to Canada’s economy and to their communities. “But let there be no mistake: We will not tolerate people going ‘underground.’ Flouting our immigration laws is not an option, and we will deal with offenders swiftly and fairly. It’s not quite as hard line as it may sound. Note, however, there are paths — the “Express Entry and Provincial Nominee Programmes” — for “temporary” foreign workers to hit the citizenship track. Let’s hope that real enforcement — deportations and 10 year bans — will be employed on any of the temporary foreign workers who stay or go underground and heavy fines on any employer who employs them. 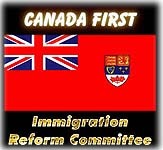 It’s time to Put Canada and Canadians First! “Employers and foreign workers have known about the four-year time limit since 2011, when this policy was announced. For nearly three decades I have pondered the origin, meaning and impact of Canada’s official multicultural policy. During this period, certain conclusions have crystallized in my mind, and yet at the same time, many unanswered questions remain. It is well known that the founder of multiculturalism is former prime minister Pierre Trudeau. What is not so well known are the circumstances under which this maverick prime minister formulated multicultural ideology, and it’s eventual legislation. Trudeau was the first western leader to meet with Mao Tse Tung, founder of the People’s Republic of China, in the year 1970. Subsequent visits to China would follow, including a walk along the Great Wall, during which the Prime Minister did a ballet pirouette, subsequently explained as a way to break the formality of the occasion. Less than one year after Trudeau’s first visit to China, he introduced multicultural ideology to Canada. His intention, as he publicly stated, was for multiculturalism to “function within a bi-lingual framework”. It would take seventeen more years for multiculturalism to achieve “official” status. In 1988, the policy was entrenched in our constitution as the Multicultural Act of Canada. By 2008, largely due to the influx of foreign money, the “function within a bi-lingual framework” component had all but disappeared. With the benefit of hindsight, it is obvious this unprecedented policy was a major game-changer. To this day, it is arguable the majority of Canadians are unaware of the policy’s full impact, and its implications for the future of our country. One significant but largely overlooked factor is to be found in the area of funding. The Act explicitly states that ethnic cultural organizations are to receive government funding for the promotion of cultural events, language and holidays. In practical terms, this scenario played out whereby the largest and best organized ethnic communities received the lion’s share of the funding. Basically, it was a “snooze and you loose” situation. Indeed, many non-profit groups hit the snooze button. The outcome was an inequitable distribution of funding, with a few select communities receiving tens of millions, and smaller communities receiving little, or nothing. Times change. Demographics change, and no where in the world has this change been more profound than in Canada, a nation with the highest per-capita immigration rate in the world. Interestingly, until Australia adopted constitutional multiculturalism, Canada was also the only nation in the world with official multiculturalism. Pretty special, yet in all the excitement and fanfare, few seemed to notice or care that the general public had no input in the implementation of the policy. The public did not ask for or endorse this policy in any manner. It was a purely unilateral government decision, entirely devoid of the democratic process. Only with the dawning of the 21st century did the true impact of this policy begin to reveal itself. With mass immigration transforming the ethnic make-up of our nation, the demographic change became increasingly profound. In 2012, a Statistics Canada study pronounced that caucasians will become a minority in Toronto and Vancouver by 2031. As a result, Canadians of European origin today find themselves in a curious situation. Our government says white Canadians are headed for minority status, yet as an identifiable group, this diminishing segment of Canadian society lack a defined communal identity. This is all quite understandable, as in the past there was no need to even consider the issue of identity. Historically, Euro-Canadians were a well entrenched majority, and there was no reason to believe this would change, at least not to the degree that a re-thinking of identity would be necessary. Multiculturalism mandates that minority groups have the right to promote their ethnicity, and to receive money to do so. We see this manifested, for example, in Vancouver’s two week celebration of Chinese New Year, complete with taxpayer-funded social events, dragon parades, and colourful community centre displays. The Viksaiki parade, largely government funded, is the largest festival of the year in Surrey, B.C., a city with a population on par with the municipality of Vancouver. Let’s be frank- present-day multiculturalism has resulted in a number of oddities, inequities, and downright curiosities. Our society has arrived at a situation whereby the white Canadian are a “pending” minority, yet they lack in a communal voice or identity. When attempts have been made to create an identity on par with our larger “minority” communities, these actions are met with cries of xenophobia, racism, and other nastiness. Why the double standard? How did we arrive at a situation where the only identifiable group prevented from organizing, receiving funding, and promoting their traditions are those whose ancestors founded our country? Take the holiday of Christmas for example. Within contemporary society, the religious components of our biggest holiday are disappearing- basically, politically correct forces want the “Christ” taken out of Christmas. At the same time, Muslim and Sikh holidays have been elevated to the highest level of multicultural sensibility. Is it therefore reasonable to say that multicultural policy is largely responsible for a cultural “inversion” unprecedented in the history of our country? Questions therefore arise- has multicultural policy become a tool to promote all ethnicities except that of Canadians of European heritage? What will happen come 2031…will caucasians be the only minority without the ability to promote their ethnicity? Will their behaviour as a minority community still be labelled as oppressive when they attempt to establish an identity for themselves within our multi-ethnic society? Are there special interest organizations and individuals who would prefer this be the case? After three decades of personal involvement and education on these matters, my answer to the latter question is yes. Let’s face the facts: the multicultural ideal originally put forth by Pierre Trudeau no longer exists. Toward the end of his life, when asked his feelings on multiculturalism during a parliamentary visit, Trudeau indicated his sadness, stating that “this was not what he wanted”. In 2015, it is apparent that what was once a policy is today an INDUSTRY, comprised of multicultural organizations, civil libertarians, legal professionals, Charter of Rights advocates and immigration consultants- not to mention our top post-secondary institutions. Those of us who have been around a while may recall a time in our history when things were very different. During the “cold war” of the 1950’s, Russian-style communism was presented by government and media as a danger to society, capable of undermining the freedom and democratic rule so cherished by our nation. In the 1960’s, a wave of anti-Americanism swept through Canadian society. Events such as the Vietnam War stimulated a desire for a separate identity from our neighbours to the south. Our federal government, sensing public discontent, launched a program entitled the Royal Commission on Arts, Letters and Sciences to analyze “the degree of English-Canadian dependence on the United States”. Fast forward to 2015. Today, we find our government bending over backwards to ingratiate the desires of communist governments, and their economic interests. Trade deals, foreign currency hubs, foreign student programs, foreign worker programs, funding for pro-communist university departments. Foreign language advertising and signage has permeated some communities to the degree that they no longer appear Canadian. Our banks market in foreign languages, often without an English or French equivalent. Indeed, the situation is so extreme it often appears our government has greater concern for the well being of non-Canadians and foreign governments than for their own citizens. Meanwhile, among the top source countries of our immigrants who provide the majority of our immigrants, all is culturally “status quo”. No government-enforced multiculturalism. No priority for foreign workers or students. In fact, all of Canada’s top immigrant source countries continue to retain their core identities, as they have for centuries, or even millennia. Only Canada, as well as Australia, are constitutionally mandated for the very fabric of their nations to undergo comprehensive cultural transformation. Just two nations out of slightly under two hundred countries in the world. In other words, only 1% of the world’s nations are truly multicultural. From these facts we see that on an international level, multiculturalism is far from the norm. In reality, it is barely on the map. Furthermore, the Canadian public has never endorsed or given consent to this transformative policy. Clearly, it’s implementation is non-democratic. On this basis, and considering current societal prohibition of European-Canadian identity, how long will it be before the founding English and French Canadian populations of our nation are relegated to the periphery of society? One generation. At present immigration rates, that’s all it is going to take. Yes indeed, the times they are a ‘changin.